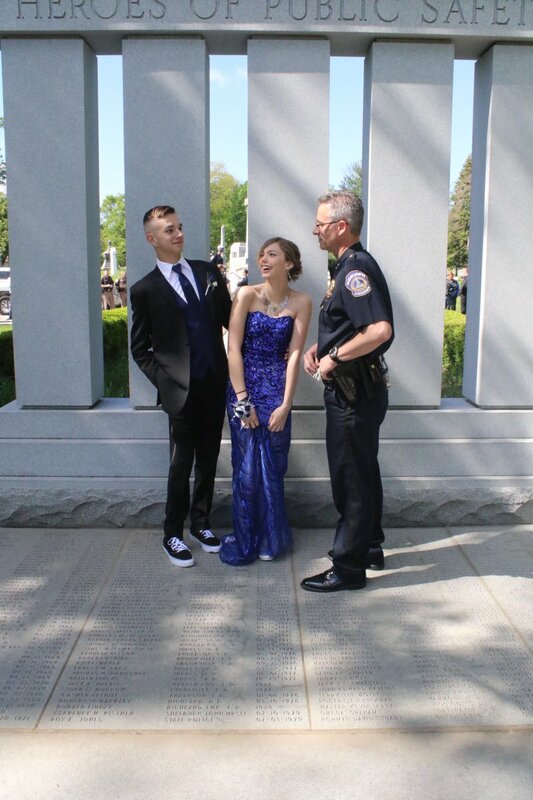 BY: Kim Davis/Liftable As 17-year-old Sierra Bradway headed out for prom, she seemed to have it all: beautiful dress, sparkly shoes, and a fantastic date. 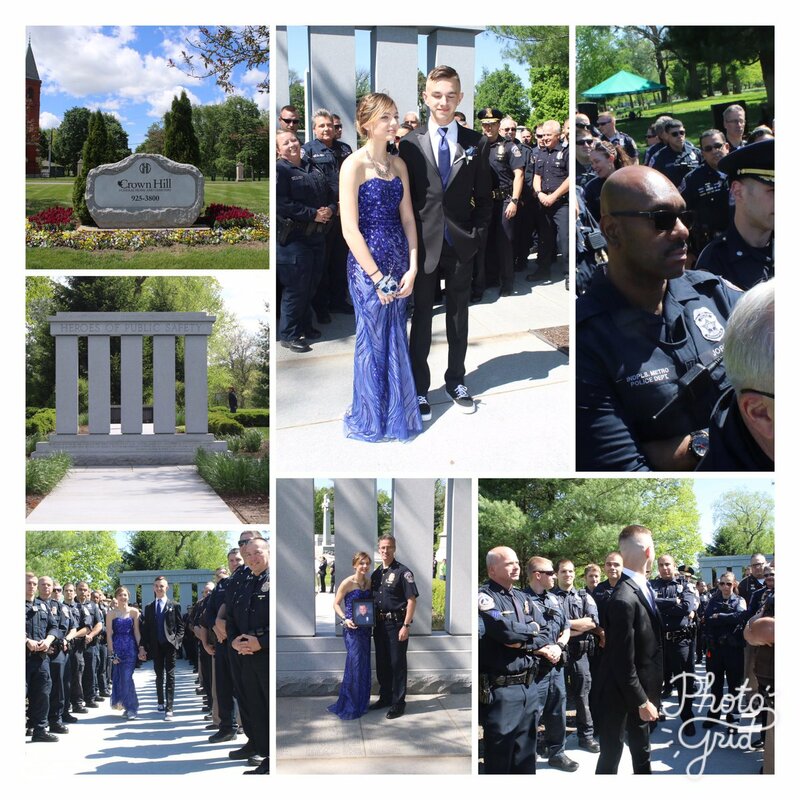 But the excitement surrounding the milestone occasion came with a wave of sorrow — Sierra was missing her father, fallen police officer Ron Bradway. If Sierra couldn’t have her father by her side to take photos and tell her she was lovely, then Sierra would go to him. Holding a framed photo of her dad, Sierra and her date, Brock Spayd, headed to Indianapolis’s Crown Hill Cemetery for prom photos. Little did Sierra know that her extended police family would be there too, waiting to greet her at the cemetery, offering love and support, while honoring their fallen colleague. As Sierra and Brock stepped out of their vehicle, a pleasant smile of surprise washed over Sierra’s face. Two officers on horseback greeted the couple, while dozens of officers lined the walkway to Officer Bradway’s grave. It was Brock’s mother, a captain in the Marion County Sheriff’s Office, who coordinated the thoughtful effort. Officer Bradway was shot and killed in 2013 after responding to a domestic abuse call inside an apartment. Officers stormed into the apartment to find a woman held at gunpoint, screaming for help. Though Officer Bradway lost his life that night, he saved the lives of the woman and her child. The community mourned the devastating loss while Bradway’s wife and children were left to bravely forge ahead. Other colleagues echoed Pruitt’s words, remembering Bradway as a man who deeply loved his wife and two children. He put his family first, and loved being a dad. We have a feeling Sierra’s curfew was extended — just a little. What a beautiful, bittersweet scene that unites all families in blue, and leaves hearts swelling in gratitude.